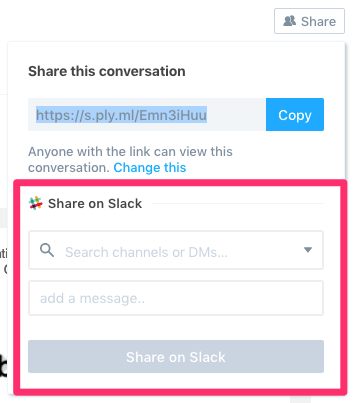 How to share conversations directly from Polymail to Slack! 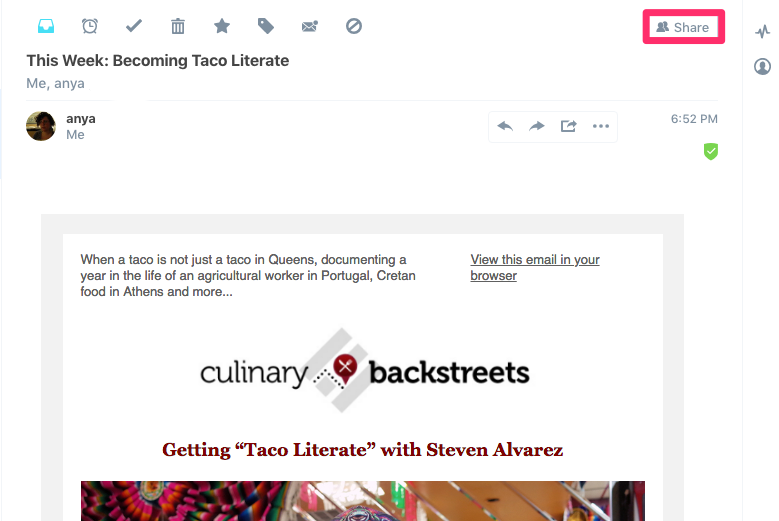 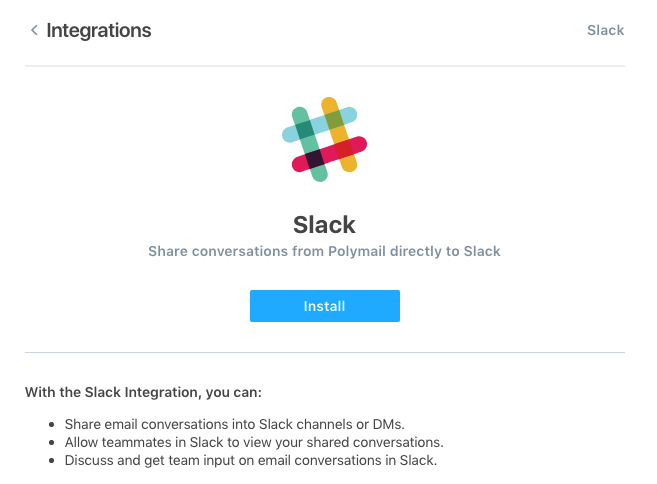 You can now share email conversations directly from Polymail into Slack! 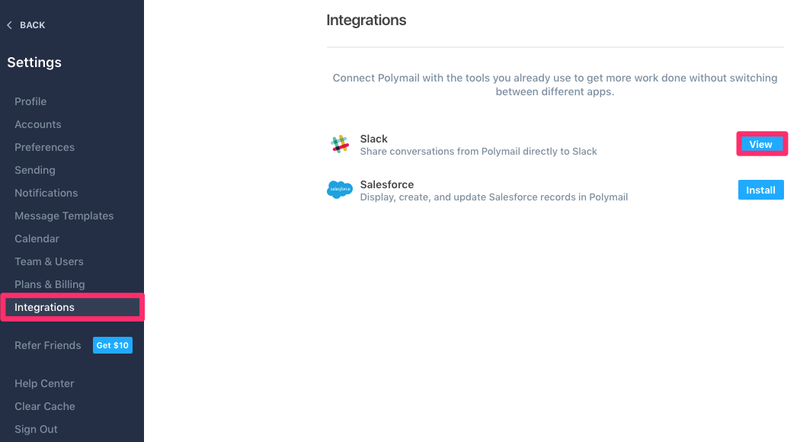 This is especially useful if you want to get input from a particular Slack channel, or if you want to collaborate with teammates who might not be using Polymail. 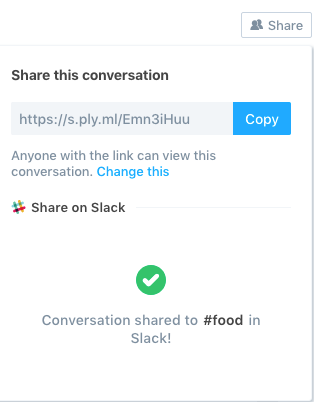 Once you've installed it, the blue Install button will change to "Enabled" in green. 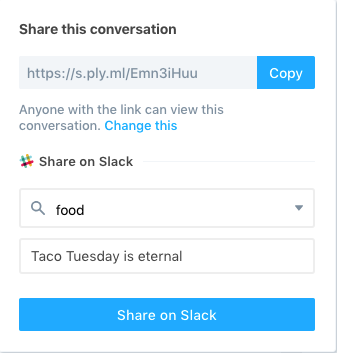 Now when you want to share an email thread, you'll find the option to do so directly to your Slack app.